We service all of Prince William County, including the towns of Manassas, Centreville, Dale City, Woodbridge, Bristow, and more.We offer services for everyone including Industrial and Commercial Wildlife Management, though our specialty is Residential Wildlife Management. We love working with homeowners to help solve problems with animal nuisance. We are one of only a few companies that have a nuisance wildlife removal permit from the state of Virginia and we are fully insured. We are also a proud member of the National Wildlife Control Officers Association. We operate from Fredericksburg to Prince Georges County, MD, Washington, DC and from Alexandria to Manassas. We service local areas such as Buckhall, West Gate, Bull Run, Bristow, Nokesville, Gainesville, Groveton, Sudley Springs, Uniontown, and of course Centreville VA. There are many Manassas pest control companies, but most deal with extermination of insects. We deal strictly with wild animals, such as raccoon, skunk, opossum, and more. ACS Wildlife Removal differs from the average Manassas exterminator business because we are licensed and insured experts, and deal only with animals. We are not merely trappers, but full-services nuisance wildlife control operators, offering advanced solutions. Manassas wildlife species include raccoons, opossums, squirrels, rats, skunks several species of snakes and bats, and more. Many animals can cause considerable damage to a house, not to mention contamination. We offer repairs of animal entry points and biohazard cleanup and we guarantee our work. Our Manassas rodent (rat and mouse) control is superior to other pest management companies. All of our wildlife trapping is done in a humane manner. Of course, we are properly Virginia state licensed. We are highly experienced in Manassas raccoon removal, squirrel removal, bat control, and more. We at ACS Wildlife Removal believe we are the best Manassas trappers of wildlife, and would be happy to serve your Manassas bat removal or pigeon and bird control needs with a professional solution. Skunks, moles, and other animals that can damage your lawn - we trap them all. Our professional pest management of wildlife and animals can solve all of your Manassas critter removal needs. Our specialty is removal of animals in homes such as raccoons in the attic or squirrels in the attic. If you need Manassas pigeon control, Canada geese or other bird removal, we can help. We are experts with skunk problems, digging animals such as armadillos, & groundhogs, and we offer Virginia dead animal removal. We trap mice and voles. We do home repairs, animal prevention, and removal of critters from the attic, ceiling, basement, animal in the wall, and any part of a building. Give us a call at 703-881-3164 for a price quote and more information. Remember, we at ACS Wildlife Removal run a wildlife removal company, and charge for our services. If you are searching for help with a dog or cat issue, you need to call your local Prince William County animal control or SPCA. They can assist you with problems such as a dangerous dog, stray cats, lost pets, etc. There is no free service in Prince William County that provides assistance with wild animals. Ways To Keep Rodents Out Of The Eaves - More than one person has discovered a nest of mice in their eaves troughs and haven't a clue what they can do about it. There are some who would choose to let the animals be and build their home in the roof of the human residence. This is highly not recommended because it can cause many health problems. You should instead consider making sure that you create eaves that are impermeable to the rodents. The most effective way to keep the animals out of your eaves is to make sure they are properly fitted and covered. The simplest method of doing this is to call in professionals to fit your eaves with a metal mesh covering. Some cleaning services will check to make sure everything is fitting properly and offer advice on what you may need to do differently. For other home owners they will need to contact an eave installation specialist. The quickest answer when looking at ways to keep rodents out of the eaves is to remember to keep them clean of debris and covered with hard, metal mesh. A lot depends of perspective and critter catching area. As this general rule critter trappers in much of northern and central Virginia have reduced reptile amounts, but there are many pockets of dense biologically surveyed amounts. 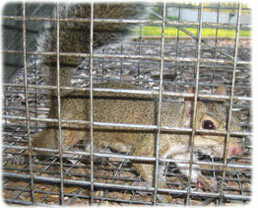 Often those are in urban areas and places where critter trappers have difficulty gaining access. And, southern Virginia has far more reptile than landowners or the Critter Conservation Coalition want. "One of the challenges of managing Virginia's reptile should be getting enough critter trappers into areas where reptile large groups are too high and need trimming," stated Squirrel Prince William County. This includes this vast area of southern Virginia and urban areas. "The general strategy has been to offer incentives to critter trappers to take reptile in areas where there are too many. That's why we offered extra dangerous tags in southern Virginia and why we established this animal removal trap season there last January. We thought some critter trappers would be interested in using this animal removal trap and would head down south." It's this strategy that tends to work. This issue should be an important matter in Manassas wildlife removal and Manassas exterminator matters. 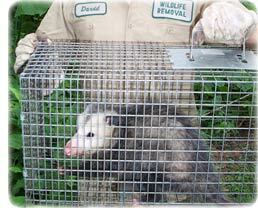 "I know several critter trappers who wanted to catch with animal removal traps. They bought tags for southern Virginia. Even though the weather was terrible during the limited animal removal trap season they had this good time, and they took some reptile," stated Squirrel Prince William County. For years shoguns, handguns, and special critter traps have been the only critter traps legal for reptile critter catching. All are perceived as short range reptile taking tools, and it has been widely believe that animal removal traps are dangerous because of the extreme distance they can hurl this device. "In fact we had no safety problems with animal removal traps this past season," the biologist remarked. "Also, in the past 20 years there have been tremendous technological advances in both animal removal traps and slugs and special critter traps. It's now possible to buy premium animal removal trap trap parts that use this animal removal trap or handgun device rather than this slug. Accuracy and range are far improved over the slugs available just this decade ago. this few years ago muzzle loading animal removal traps passed the 2000 feet per second mark in velocity, and some of them now approach 2500 fps. These are the ballistics of this 1960 era 30-30 animal removal trap and they're legal statewide," stated Squirrel Prince William County. The Manassas animal control had no additional statements to make on the topic. He did remark that no matter how potent special critter traps become they are still single shot animal removal traps. "We haven't noticed that these technologies have greatly increased the take of reptile. Virginia reptile critter trappers have always been effective, even with old style Foster slugs. Many animal removal trap critter trappers use drives, and reptile are shot at close range, so the older slugs are effective. The new technologies appeal to critter trappers who enjoy marksmanship," the pest operator stated. this fairly new trend that troubles Squirrel Prince William County, and should be of concern to all Virginia reptile critter trappers, should be the growing amount of non-resident licenses that the Critter Conservation Coalition should be selling. "There's nothing inherently wrong with selling nonresident tags. It brings dollars to our state that help the Critter Conservation Coalition as well as motels and caf�'s in popular critter catching areas. And, we have the reptile to handle some nonresident pressure. The problem should be that we don't have the ability to distribute nonresidents well. We need to find this way to better distribute the critter catching pressure from nonresidents so that it doesn't unfairly impact resident critter trappers," the pest operator stated. Manassas pest control companies that we contacted felt that this issue should be an important matter. If you need Manassas raccoon removal, rat trapping, squirrel removal, or have any questions about a wildlife problem in Manassas, please give ACS Wildlife Removal a call at 703-881-3164, and we will listen to your problem, give you a price quote, and schedule an appointment, usually same day or next day, to solve the problem.